The computer science major provides students with special interdisciplinary tracks in neuroinformatics, bioinformatics, and cognitive science. Computer science is at the forefront of a technological revolution that has dramatically changed the face of modern society. Modes of thinking, acting, and interacting have been and will continue to be shaped by the computer. Significant advances in many other disciplines seldom occur today without some crucial reliance on computing capabilities. Like the field of medicine, computer science cannot be identified with, nor limited to, a single specialty. At its core, however, computer science is all about solving problems. Computer scientists seek to understand the nature of problems and search for creative techniques to efficiently automate their solutions. From games to artificial brains, from businesses to labs, from networks to databases, and from conceptual tools to hardware, computer scientists devise ways to represent, process, and produce knowledge for every discipline imaginable. A computer science degree enables understanding, fosters logical thinking, and provides a unique perspective on the ever-increasing role of technology in our society. 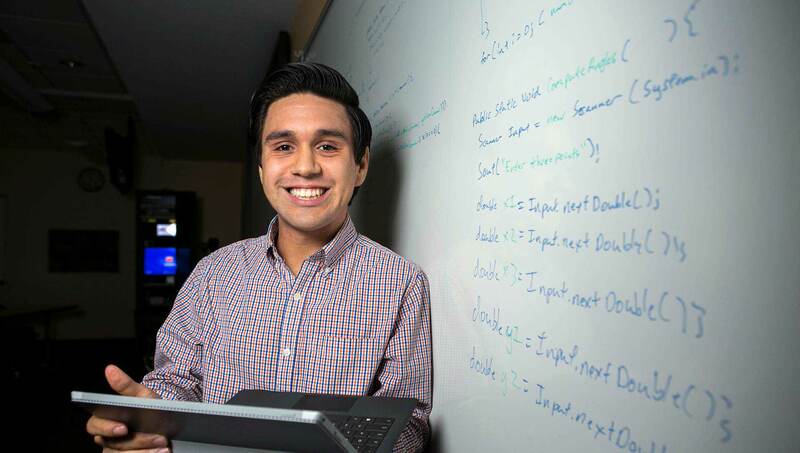 Students receive training in a variety of foundational areas such as programming and computer languages, databases, operating systems and networking, computer architecture, and artificial intelligence. This background opens doors to a vast array of career opportunities in both traditional and innovative domains. Computer science provides a terrific opportunity to express one’s creative instincts. Successful students will be those who are resourceful, imaginative, inquisitive, analytical, motivated, excited by discovery, and challenged by unsolved problems. 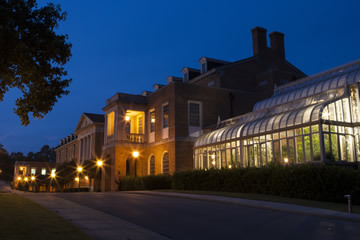 The Computer Science program at Samford offers quality instruction with an excellent student to faculty ratio that permits us to mentor students in a way impossible for many larger institutions. We know our majors and classes are not taught by graduate students. Faculty is active in Computer Science arenas beyond the classroom, including research and community involvement. Furthermore, our students have the option to participate in hands-on research as undergraduates, thereby gaining valuable experience often available only to graduate students. Opportunities exist for conference presentations and some students have been co-authors on published papers. All this in a Christian environment, where we want our majors to know that, despite its relevance and appeal in modern society, there is more to life than just Computer Science. Thus, faculty members are also active in the wider community, teaching Sunday School, helping construct churches or participating in other mission endeavors, leading student cadres, and speaking at off-campus religious venues. Computer Science is a particularly good discipline, not only for developing specific capabilities that are valuable in the workplace, but also for fostering critical thinking skills that facilitate use of those capabilities both in the profession and beyond. The foundation we provide helps equip students to adapt to an ever-changing technological society. Thus, fascinating prospects for computer science majors exist in fields as diverse as science, engineering, medicine, law, academics, education, and business.